HomeFishing AdviceAsk a Fishing Expert Q&ABest Time to Fish? A. There are tons of exceptions to this rule, so the short answer is any time you can go is a good time. For most species of fish, I find they bite best in the shallows near dawn and dusk, whereas the fish in deeper water often bite best during the middle of the day. 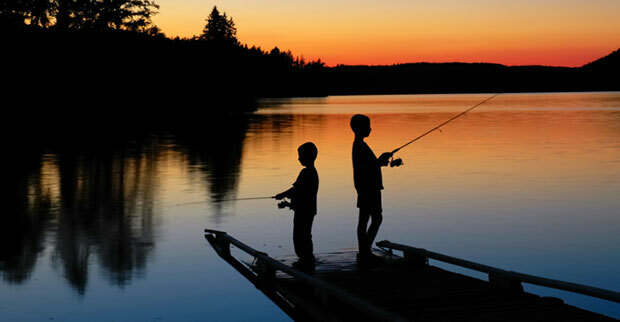 If you’re shore fishing, try to plan your trip early or late in the day when the shallow fish are likely to be active. If you’re fishing from a boat, you can fish deeper when it is brighter and shallower during the low light times. i have found that fishing in the afternoon is the best time to fish. However some of my great catchers have come on what was to be a bad day. So go fishing anytime you can and enjoy. The two best times to go fishin’ is when it’s raining, and when it ain’t.